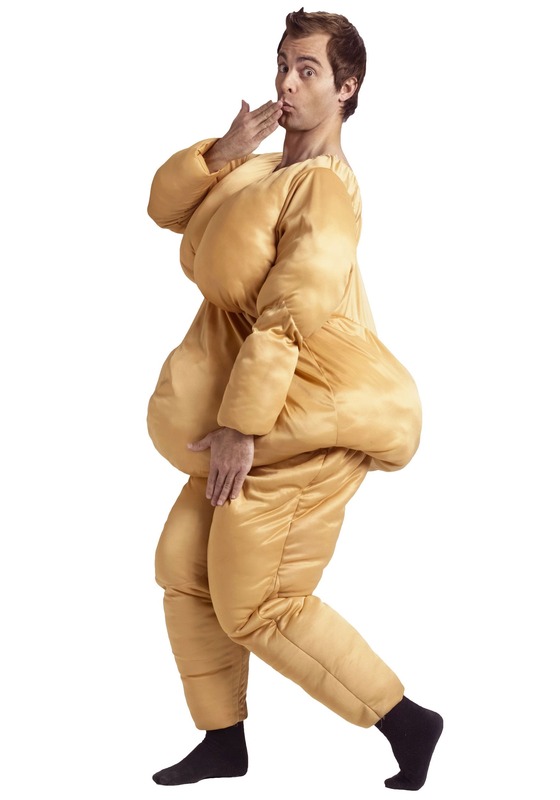 This adult fat suit costume will let everyone know that you've been late-night snacking! 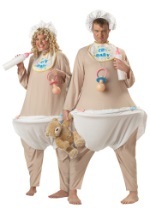 The funny costume consists of a flesh colored jumpsuit that is over stuffed with padding. 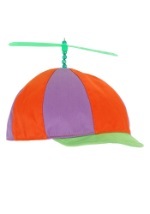 Wear this hilarious fat suit on its own or wear it under another costume for an extra chubby appearance. 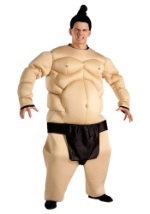 Get ready for some laughs in this fat suit costume.